Taylor Lewan walked off a wet and rainy Nissan Stadium field Sunday with mud on his face. Two weeks after his comments about receiving national respect from the media and a week after an embarrassing road loss to Buffalo, Lewan’s offensive line played a significant part in Marcus Mariota being sacked 11 times, en route to a 21-0 shellacking against the Baltimore Ravens. Awful, appalling and abysmal. There aren’t enough words in the thesaurus to describe how poorly the Titans played on Sunday. Trust me, I looked. Lewan doesn’t deserve the brunt of the blame, as he should be commended for playing through a foot injury and sacrificing for the team. It was his words, however, after the Eagles game that brought an atypical attention and expectation to Nashville and a team that doesn’t yet know how to win consistently. In the face of two winnable games, which would have further solidified the Titans as a contender, the team’s apparent progress shown in September has been absolutely nullified by an October highlighted by sloppy, unorganized and hard to watch football. Mike Vrabel assures us that there will be no finger pointing in the Titans’ locker room. He said nothing about finger pointing coming from a fan’s apartment in Brooklyn, NY, and the first finger is pointed right back at Vrabel and his coaching staff. After being considered by many as a “Coach of the Year” candidate after the first four weeks of the season, Vrabel’s team has looked overwhelmed and underprepared the past two weeks on both sides of the ball. In a game where the Ravens, a team abandoned by current Titans defensive coordinator Dean Pees, clearly wanted to send a message, the Titans had no response. The Ravens offense dominated third downs and marched down the field with ease, just a week after they struggled moving the ball and scoring against Cleveland. If the defense is a work in progress, the offense is just broken. The innovativeness that Matt LeFleur showed earlier this season is simply a distant memory. Miserable offensive line play, tied together with an indecisive Marcus Mariota, a nonexistent run game, and Jekyll and Hyde receiver play was only made worse by LeFleur’s poor playcalling and unwillingness to adjust his gameplan. As Baltimore made it clear that they were going to blitz and spy Mariota for 60 minutes, LeFleur refused to switch to quick, short passes and abandoned the run game. The result of this is something all fans have been repeatedly made aware of this week: 106 yards of total offense, 11 sacks, and 0 points. When a team loses 21-0 – and it should have been even worse – it’s right to critique the coaching staff over individual players. When a team gets completely outplayed and dominated, that points to a lack of preparation and gameplanning. 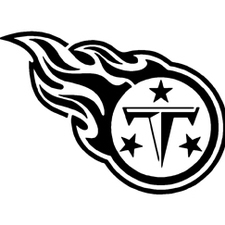 However, as the Titans now sit 3-3 and, somehow, still in first place in the AFC South and in control of their destiny here on out, it’s time to point the finger squarely at Marcus Mariota. Not for his terrible play against Buffalo or Baltimore, but for his play against San Diego and beyond. The normally reserved Mariota has reportedly taken a more vocal role in the locker room this year, but his leadership has never been tested as much as it will be moving forward. More than just the quarterback for the team, Marcus is the face of a franchise that’s immediate future is currently in doubt. Adding to the pressure of playing more consistently and fixing the offense in a hurry, Mariota now needs to stabilize a reeling team before the wheels come flying off for the season. With upcoming matches against the lightning hot San Diego Chargers, followed by Dallas and New England, the Titans face significant and pivotal challenges that can decide if they’ll be playing meaningful football in November, let alone December or January. A team goes as far as its quarterback will take them, as great quarterback play can transcend any unfavorable matchups or challenges a team may face. It’s up to Mariota – not Vrabel, Jon Robinson, or any of the other team leaders – to scrape this flattened team off the ground and carry them back to their winning ways. I honestly wonder how much more time we’re all going to give Jon Robinson before the track record starts looking pretty underwhelming. He stepped in and immediately made a trade to land himself a huge amount of draft capital to work with and, frankly, now two and a half years removed I think we need to take an honest look at the return. Conklin has been great. But that first year. Three seconds before 45 and he turned them into a rotational defensive lineman, a pass rusher that is out of the league, and what’s looking more and more like a backup RB. I’m not saying he’s a terrible GM, but I’m starting to get concerned that the results aren’t what we all hoped for. Huge draft capital, tons of cap space, and I just see a whole lot of settling. Settling for a bad interior offensive line. Settling for below average wide receivers. Think about our free agent moves with $50+ million in cap room. Off the top of my head, the only ones I can look back truly positively on are Logan Ryan and...Dion Lewis? We spent thirds on Taylor and Jonnu. Seconds on Henry, Dodd and Johnson. A top five pick on CD, who certainly flashes but also has made plenty of fundamental mistakes. I don’t know. I guess it all feels like Robinson has been pretty immune from criticism when he’s had a lot more misses than hits in FA and the draft results, while not notably bad, aren’t exactly awe inspiring. I've been trying to say this for awhile, but he's far from the golden god people have labeled him. Honestly, he's made 2 pick ups that are gold... Conklin and Byard... Adoree is close, but still has some questions... CD84 had a few more. Jones was ok early, but if no more... Matthews is gone... Murray was his for a year... Ryan is the one standout. I'm still in the Robinson corner. I'm trusting him. Jayron Brown has made a leap forward this year. Kevin Byard and Conklin as mentioned are All-Pro's. Brought Murray here to help set the tone of the team. Tajae Sharpe (5th round WR with some team value). Producitve draft pick in LeShaun Sims. (5th round pick). At the least, solid CB in Adore Jackson. Traded for Dennis Kelly, when we all were like WTF. Got rid of DGB who obviously wasn't an NFL Player. Those were some of the moves that filled our roster with at the least respectable NFL Players, opposed to players nobody else would even want on their team. He has whiffed on some moves but also just been outbid for others. I know factually that we had Bouye in FA until the Jags outbid us. We tried for Suh and he made what looks to be the right choice, with that offense. We were in the talks for Cooks. He has made calculated moves and risks, but come up short. Maybe with us having more pieces in place he will be willing to overpay a player or two in FA or make a trade. The team is still in transition. 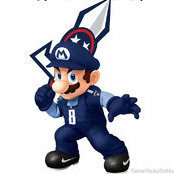 We are moving from Murlakey players to Vrabel/Lafluer players. We are having growing pains of a rookie HC and rookie OC to go along with young players at impact spots. As I look around the league like I always do....The NFL is a hard place to win consistently. It isn't like the NBA where you can get your few stars and be competitive for years. Only teams with true QB stars are able to win year, in and year out. Or staffs that have been able to lay down their program for consistent years. 6-10, 7-9, 12-4, 7-8-1, 15-1, 6-10, 11-5. I could see the same for the Titans under Vrabel/Robinson. I know that it was kind of focused on Robinson, but the NFL is the way it is, by design. 17 out of the 32 teams are 4-3 or 3-4 (tie teams included). Only the Rams and Chiefs are on the level of unstoppable. Only 5 teams have 5 wins. Odds are if you are going to root for a NFL team, they will be part of that 17 or below that have 2 wins or fewer. That's not a call just to accept bad decisions or play, but just something to keep things in perspective of what is success in the league. I think we are set up well for the future. I think we are a dependable pass catcher from possibly 2 more wins. If we can build the offense and see improvement from the coaches and Marcus within the system, we are able to be at the least Carolina-like and be in the playoffs more than we are not and hope for a hot year with the possibility of more if we get an true impact player on either side of the field. Meh. I still think Robinson has done a fine job for the most part. He's had some head scratchers for sure, but if that's the standard, we're gonna be searching forever. I think he's actually had some pretty crappy luck on the offensive side of things, first with being tied to Mularkey, and now losing his top 2 pass catchers from last year less than a game into the season. I know depth is pretty much the ultimate "GM's job", but I mean, that's basically all Sharpe and Smith were intended to be this year: Depth. Now circumstances have forced them into playing big offensive roles and neither are good enough for that. I still love what he's done with the defense. Say what you will about Butler, but we've come light years on that side of the ball since JRob has been here. The one area where I will definitely give him a big thumbs down is the interior offensive line. I mean, dude, it's been 3 years, come on. And many of us questioned the lack of activity on the WR front. We're not prophets... The lack of depth was just very obvious. 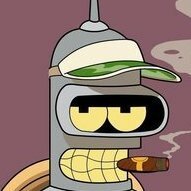 I thought it was decided that we hired JRob because he was the only decent GM willing to agree to AAS's terms of hiring Mularkey? Pretty sure there were several people here linking to that and saying he's likely to fire him the first chance he gets. Assumption... Some called him gutless for taking the job and being "forced' to his him. I ashtrays thought he actually liked him and actually hired him (not like he had a choice maybe). Whether he chose him or took the job knowing he was going to be forced on him... It's his guy, his choice, goes on his record. But Mularkey did go 18-14 with a playoff win... So it's not like it was a horrible hire. I think Robiskie as the OC was the main issue there. Mularkey was 100% Amy Adams Strunk. Robinson still chose to come here, so it doesn’t absolve him completely, but Mularkey was going to be the coach regardless. That’s why Chris Ballard ultimately passed on us. Sugar coat it any way you want... but Mularkey was JRob's first hire. But again, it's not like it was a horrible move... His .563 winning % here in TN would put him above guys like Marv Levy, Ditka, Jimmy Johnson, Shannahan, Coughlin... and just short of guys like Noll, Parcells, and Coryell. A former GM interviewed for our GM position back in the day and wrote an article on the entire process and I think it included how he saw our team and his plans and everything. He mentioned one reason he didn't think he got the job was that ownership had basically already hired Mularkey and he said he wasn't willing to use him as head coach. IDK if that's sugar coating it or not, but it sounds like having Mularkey as HC was part of getting the job, not so much the GM getting to choose him. But as far as calling it bad luck, not really, he knew that was going to be his HC going into the job and he still took it. If LaFleur doesn't do something he's going to end up being looked at like Mularkey because the Shannahan offense isn't what most had in mind for Mariota and it's going to be really hard to run an offense that has a big emphasis on TEs, a FB, and a running game when we don't have any of those. Honestly it's looked a lot like Mularkey's offense with zone-blocking instead of man-blocking from a conceptual standpoint. The route combinations have been better and the way each play builds off of or sets up another play is better, but overall it's the same tight formations, 2 TE, run-based, play-action concept. I don't know what most people wanted, but for Mariota I wanted 3 WRs on 80% of the snaps. Spread the field. Run it with Dion Lewis out of shotgun. I said last year when people hated on the tight formations, that they should look at how the Rams formations looks. We are seeing those same formations. We obviously aren't seeing the same results as the Rams. The offense is a more modern approach with more purpose like you said but it still might not be the best offense for Marcus. It's still asking him to do things that don't come natural to him. Like you said I don't think you will see video game numbers for him unless we have a true spread. The Rams last year were also the highest 11 personnel team in the NFL at 81%. I think we're highest this year for 12 personnel aren't we? Either way I think a lot of us, myself included, were excited for LaFluer's name recognition without really knowing what we were getting into. He's still shown some flexibility so hopefully he just has to figure some things out the hard way. Mularkey's/Robiskie's offense always seemed very rigid. One thing that the offense has in common with our offense last year are 2 man routes. Come off play action and then have Max protect with a crossing route and a deep one. Maybe with a check down option. I'd like to see more spread to, but maybe it's because we don't have the WRs. Only if he had more weapons ? ?